AngularJS brings server side services, such as view dependant controllers to client side web applications by using dependency injection. Ember.js eliminates the boilerplate (the section of code that has to be included in various places without any alteration) and provides standard application architecture. Ember.js has HTML and CSS at the core of the development model. It was developed by Misko hevery and Adam Abrons and maintained by Google; used internally by them and MIT licensed. It is initially released in 2009 and current stable release is 1.3.3 (November 17, 2014) and is the oldest of the three frameworks. It was initially called as SproutCore MVC framework, originally developed by Sproutlt and later by Apple. Later, it was developed by Yehuda Katz, a member of jQuery, Ruby on rails and SproutCore core teams and is released in 2011. The current stable release is 1.8.1 (November 04, 2014) and MIT licensed. It was created by Jeremy Ashkenas in 2010. It is based on the Underscore.js library which provides many functions to work with arrays, collections, objects, events and so on. It is initially released in October 13, 2010 and current stable release is 1.1.2 (February 20, 2014) and MIT licensed. Figure 1. 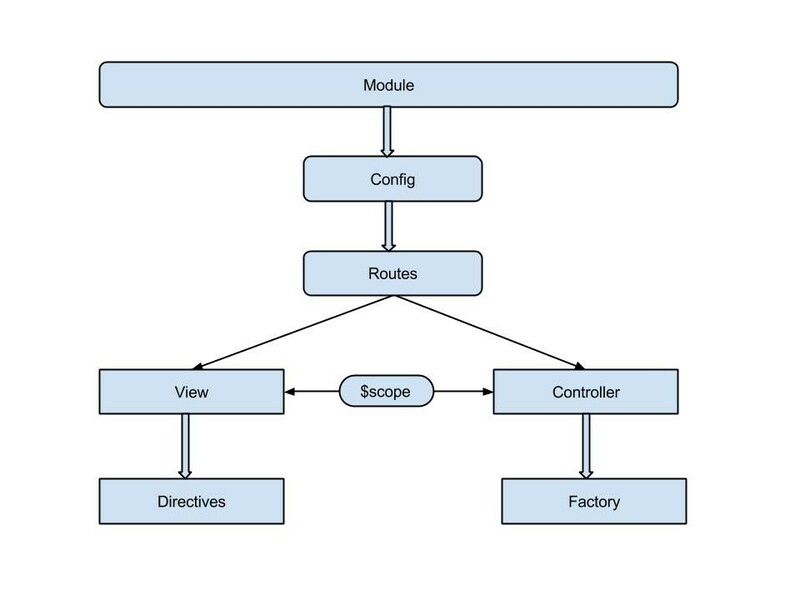 Architecture Diagram of AngularJS. AngularJS contains modules which acts as container for the different types of application such as controllers, view, directives, factory etc. A module specifies how an application should be bootstrapped. Using a module, process will be easier to understand; you can reuse the code, end to end tests uses modules to override the configuration etc. It is place for creating, registering and retrieving angular modules. The config only accepts providers from modules, means every service, factory etc are instances of provider. Routes are used for linking URL’s to controllers and views. The views send element or attribute to the directives which tell AngularJS’s HTML compiler to attach specific behavior to the DOM element and its children. The factory is used to define AngularJS service and it called when service needs to be instantiated. Figure 2. Architecture Diagram of Ember.js. The above figure demonstrates the architecture of Ember.js which divides the application into model, view and controller (MVC) which helps the developers quickly understand how everything fits together. Ember starts with route and loads the model then renders the template by using view and adds the template to the DOM. The router sets a model on the controller and events are passed to the controller to update the model. The controller sets the state on template and view. Model: Model manages the data of the application. It responds to the request of view and also responds to the instruction from the controller. Router: Router is used to execute the actions and events which is an URL representation of application’s objects. Controller: Controller is an intermediary between the model and view or template. It is auto-generated by Ember.js. 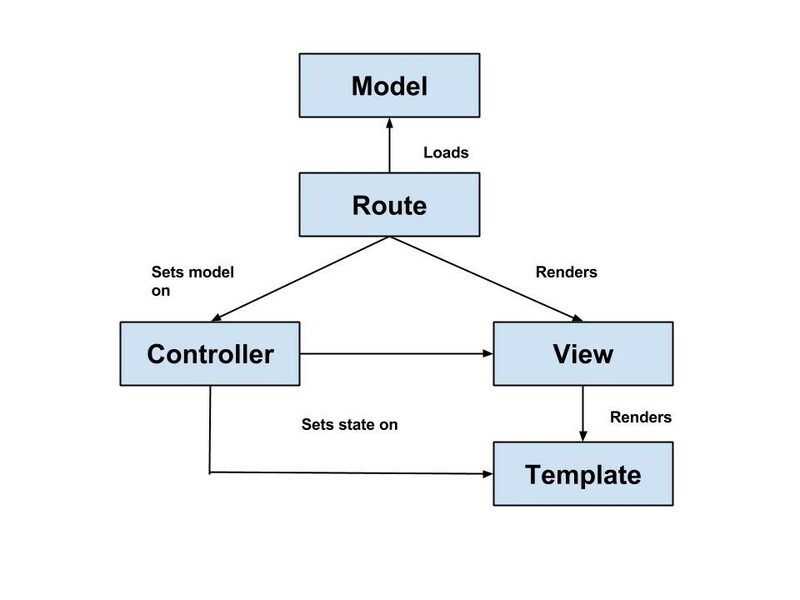 View: View is associated with template, route and controller. Template: Template is the HTML mark-up which automatically gets updated when changes are done in model. It displays the model to the user. Figure 3. Architecture Diagram of Backbone.js. The above diagram represents the architecture of Backbone.js. User requests a file such as a page, image etc from a web server using HTTP Request protocol. The Backbone routers are used for routing applications URL’s when using hash (#) tags. Router is required when web applications provide linkable, bookmarkable, and shareable URL’s for important locations in the app. It provides methods for routing client side pages and connecting them to actions and events. The DOM (Document Object Model) is an application programming interface which defines the logical structure of documents and the way a document is accessed and manipulated. The DOM sends event to the view. The view objects are associated with a fragment of DOM and constitute the user interface in an application. They are designed to tie models that need to present to the user. Views can be change as the model changes. It has most useful feature, data binding which saves from writing boilerplate code by providing two way data binding to handle synchronization of data between model and view. It uses template which is plain old HTML to show information from the model and controller. It has one more feature called module which divides the application into reusable and functional components that can be integrated into other web applications. It contains directives to create custom HTML tags and decorate HTML elements with new, custom behavior to manipulate HTML elements. It contains a feature called route which is a URL representation of application’s objects and serializes application’s current state. It has models which respond to the view request and instruction from the controller and contains data associated with application. Controllers act as intermediary between model and view or template and decorate the models with display logic. Ember uses templates to build application’s HTML and gets updated when changes are done in the model. 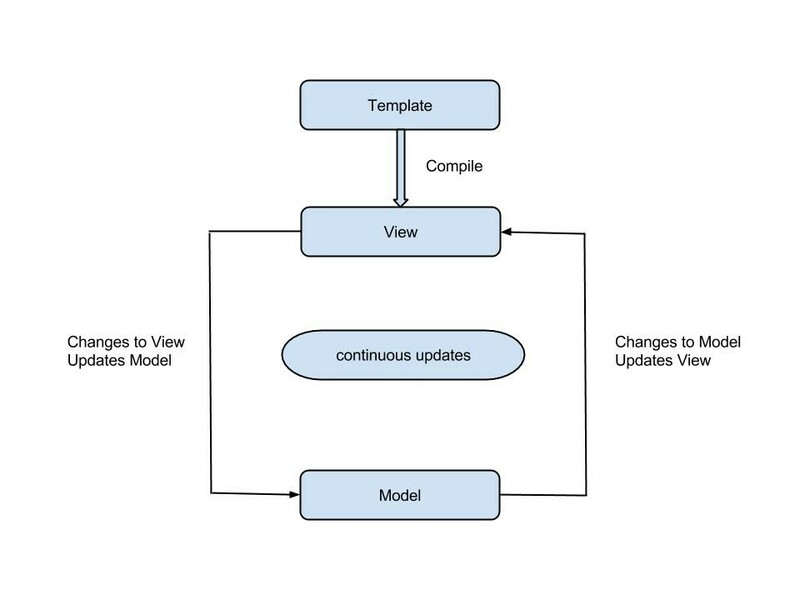 Another feature called views which handles the user input events and binds the model events and methods, renders model and interacts with user. It uses only required functionality wherever necessary in the application. It can be integrated easily with other frameworks, so it is called as minimalistic. 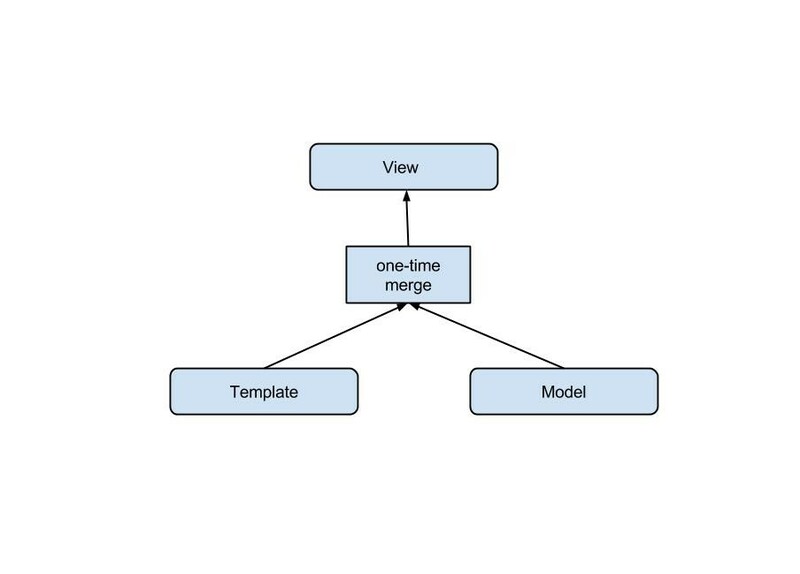 Backbone uses views which reflect how data model should look like. Uses models to store data, validate data and provides access to different parts of the data in the application. Backbone also contain router feature for routing applications URL’s when using hash (#) tags. It is important to understand what is the size of each these frameworks to download and what you are getting for that extra weight in the application. In many cases user wants to download the application as fast as possible. The size of the framework is important parameter which adds overall size of your application. There are two factors which should be considered when loading time of the application, one is framework size and another is time taken by the framework to bootstrap. AngularJS contains gzipped size of 36kb approx which does not have external dependencies. Ember.js comes with gzipped size of 90kb and it also includes external dependencies jQuery plus Handlebars with size of 136.2kb. The more ambitious and rich framework is the more in size and also more difficult to integrate with others on the same page of an application. The less flexible framework will be less in size and requires developers to write lots of code. Backbone.js has gzipped size of 6.5kb which includes external dependencies requires jQuery plus Underscore with size of 43.5kb and Zepto plus Underscore with size of 20.6kb. It is easy to use. It provides features of two way data binding which makes custom tags, attributes which encapsulate built-in directives that make extending functionality of HTML easier. It is a flexible framework and versatile used for large app projects or small element. 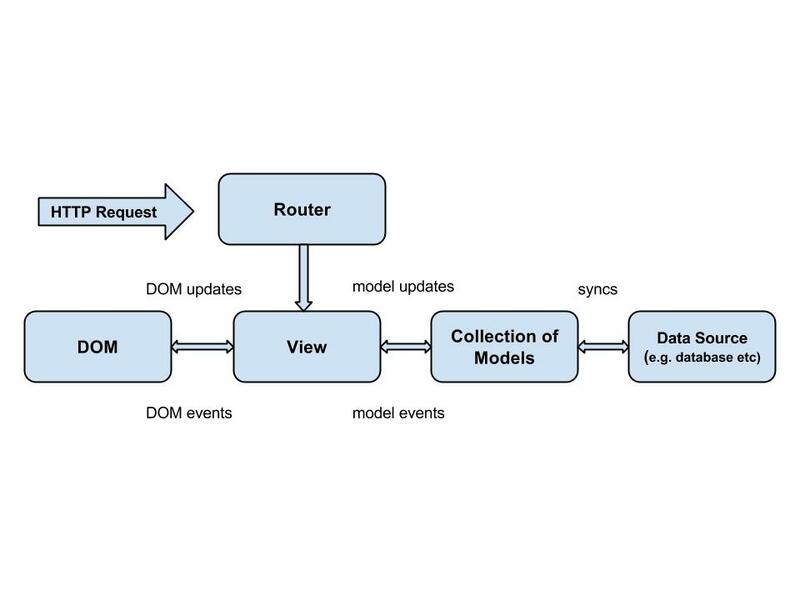 It is a two way data-binding which is based on Model, Views and Controller (MVC) pattern to maintain front ends. It requires some learning to get started with on the basic things. It is optional about how you name your objects and how you organize your files. It is collection of cohesive objects and its basics are easy to learn. It has fewer conventions such as it does not default to any template, does not have default project structure and no built in testing recipe. It is easier to implement on small portion of page and easier to get started with and allows for greater control over the method of implementation. A template is a project skeleton of a simple single page web application. AngularJS does not include any angular specific file templates. It comes with set of live templates to create controllers etc by using template engine. It also does not support 3rd party template engine. Ember.js contains template is the HTML markup which gets updated automatically when changes are done in the model. It uses handlebars templating library which is like regular HTML which allow embedding expressions that change what is displayed. This template will automatically get compiled and display the message on the page when it gets loaded. You can get advantage of template engine of backbone.js without adding additional dependencies for the application, because already you will be having underscore.js on your page. These frameworks provide plug-ins and libraries to do specialized things and have ability to be easily modified. It is flexible framework for developing dynamic web applications. It includes integrated toolset that helps to develop well structured, rich applications in modular format with less code and more flexibility. The main reason for AngularJS’s success is the flexibility in the building blocks the framework provides. It extends HTML by providing functionality of directives that allows creating dynamic templates and also creating your own directives that fill your needs and abstracting away all the DOM manipulation logic. It is a flexible framework that embraces the concept of fast web page. It speeds up the performance of your application without reloading the whole page. Ember.js gives flexibility to change UI interaction very easily. It allows scaling existing functionality and makes easy to add new one. Data binding is a process that establishes connection between application user interface and business logic. In AngularJS, data binding is fully supported which is the automatic synchronization of data between view and business logic of the application. It provides two types of data binding namely one-way data binding and two-way data binding. Figure 4. Architecture Diagram of one way binding. Figure 5. Architecture Diagram of two way binding. Compare to one way binding, it works differently. First template compiled on the browser which produces a view when model variable is bound to an element that can change and display the value of the variable. In simple words, when the model changes, the view reflects the change and vice versa. You can say that view is simply an instant projection of your model. Two way binding can be applied to those elements that allow the user to provide data value such as input, text area, select elements etc. Models uses JSON properties such as car.color=”red”; and provides option for creating custom bindings. In Ember.js, data binding is fully supported which creates link between two properties when one property changes, the other property will get updated to the new value. Binding can connect same object across different objects and in bindings, ember.js can be used with any object not just between views and models. You can change bound property as many times without worrying synchronization bindings because ember waits until your application has finished running before synchronizing changes. One-way binding can be done in one direction. One way binding useful when you want to defines specific behavior such as address of shop etc. name.set(‘comany_name’, “Techbuds ”); // changing name of user object on the view. In Backbone.js, data binding is not supported by default. There is plug-ins available to support data binding. Epoxy.js is extensible data binding library for backbone.js which provides rich extensions of Backbone’s model and view components to hook view elements directly to data models. It includes some features such as automated dependency mapping, view updates, computed model and view attributes. It supports concept routing which is quite similar to backbone.js. Angular after all is a framework used for creating single page applications. This technique usage in angular, is called routing. Routing is a process of loading sub templates depending upon the URL of the page. In AngularJS, routing is taken care of by a service provider that Angular provides out of box called $routeProvider to handle routing. By using this, AngularJS will handle all of the technique required to get new file and inject it into your layout. In ember.js, router is used to execute the actions and events which is an URL representation of application’s objects. The URL can be changed manually by the user and specified URL is used by ember to understand what application state to be sent or present to the user. It is responsible for loading the data and displaying templates when it matches the current URL to the routes which you have defined. The router can link views based on its application state. The backbone routers are used for routing applications URL’s when using hash (#) tags i.e. it is an URL representation of application’s objects. Router is required when web applications provide linkable, bookmarkable, and shareable URL’s for important locations in the app. It provides methods for routing client side pages and connecting them to actions and events. When router maps URL, it triggers the actions and events for the matched routes. It is still very useful in providing URL routing facility for an application. In URL routing, anything after hash (#) tag is interpreted by the router. In general, views are used to define how stuffs are displayed in the screen. AngularJS uses HTML and its own templating language to specify views. The views are specified declaratively as HTML. AngularJS defines ng-app directive which becomes placeholder for views. AngularJS uses ng-view directive as container to switch between views. When the route changes, the view changes according to the configuration of the $route service. It has extensive view type support. Ember views are responsible for how and what to display from our application. Views are used to reflect “how your data model looks like”. It has own Dom element which knows about its model or collection. It handles the user input events and binds the model events and model methods and renders model or collection and interacts with user. Views can be created for the reasons such as when you need to handle user events and to create reusable component and handlebars are used for templating. In backbone.js, views are simple and straight forward and it represents the logical chunk of UI in the DOM. Vview classes do not know anything about the HTML and CSS. Each view can be updated independently when the model changes without reloading the whole page. It’s easy for developer with jQuery and Dom skills. Views allow defining DOM events declaratively without having to worry about render function to the model into HTML using a template data. We can create the backbone view by simply extending the existing View class of the backbone i.e. Backbone.View which creates initial element outside of the DOM, if existing element is not provided.